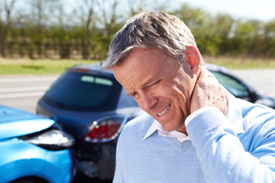 We’ll work with you to provide affordable, effective care following a motor vehicle accident. When I was flying back to the Punta Gorda airport memorial day I started talking to the young lady sitting beside me. She said that she was a surgical technician at Lee Memorial Hospital. I asked her what she thought of the hospital as I live in Englewood and try to use Sarasota Memorial Hospital or Venice for my hospital needs she gave me an answer I didn’t expect. She was involved in a car accident and went to the hospital’s e.r. where she works to get diagnosed and treated. The accident had torn a ligament in her knee. requiring surgery at a later date. The Bills from the E.R. were outrageous. It sounded like the E.R. bills were so high that it sucked out all of her car accident insurance and the insurance of the person who hit her. I told her they could have given you their opinion as to which treatment setting is the best for her that Lawyers in Lee County have told me Lee hospital systems have found a loop hole in state law that pretty much allows them to charge incredible fees and they do not have to negotiate them down at a later time. Private hospitals do have to negotiate them down. She asked me what else could she have done. I thought about it for a minute and said you could go to an acute care clinic or a family physician that is also boarded in emergency room medicine or if you went to a chiropractor they could give you their opinion for the best place to go. For broken bones ect. I would go immediately to the hospital. If a patient had minor injuries I would consider a less expensive setting. Everybody should be examined by a Doctor immediately after a car accident but maybe Lee Memorial System right now is not the best overall choice for everybody in a car accident to to get checked out at. In 1971, Florida became the second state in the nation to adopt a statewide policy concerning no-fault insurance, also known as personal injury protection (PIP). In the event of a motor vehicle accident, PIP covers necessary medical, surgical, funeral and disability expenses for injured drivers, passengers and pedestrians, regardless of who was at fault. Florida requires drivers to carry a minimum of $10,000 in personal injury protection. Under the new law, if you were not seen at the accident site by a paramedic or seen at the Emergency Room you have 14 days from the date of your accident to see a physician or chiropractor. If you do not do this within 14 days, you will lose the accident insurance forever. For patients who have been in an automobile accident, Plummer Chiropractic and Wellness can help you get on the road to recovery TODAY! Medical and chiropractic professionals start with an evaluation of your injury to determine the best course of action for your particular situation. You will be seen by an independent medical physician in his office who is board-certified in Emergency Room Medicine and an independent chiropractor certified in physical therapy. We also treat acute injuries here in our office. If you are suffering from back pain or other symptoms, traditional chiropractic care could be the right choice for you! Give our office a call to find out how you can benefit from chiropractic care. I am a Palmer Graduate and a Science teacher. I follow the U.S. guidelines for treatments. I am a Licensed Chiropractor certified in Physical Therapy. It is my policy that if anybody is unhappy with their first visit for any reason we will cheerfully give you a full Refund of the first visit. 99 percent of the patients are treated on in their first visit. I pride myself on getting people in and out the Door while giving them high quality care. I hate waiting too. We have a “no waiting guarantee” If you wait for more than 15 minutes your visit is free. We do offer prepay 10 visit discount books for people who want to know exactly what their care will cost and can afford to pre-pay for it. If you were in a car accident we take all the florida insurances and work with most attorneys. Remember you have 14 days to see a doctor from the time of the accident. Yes we take Medicare, Blue Cross Blue shield, Humana and Private Pay patients. We do make house calls when necessary for private pay patients. Have you already gone to the emergency room after a motor vehicle accident? If this is the case and you still need follow-up care, we can help you. If the emergency room bill is so high that you can’t seek any further treatment, you can visit our office and we will work with you to have your bills reduced through negotiation…all while we get you the treatment needed to reduce your pain whether you’re the at fault driver or not. Many resources have shown that hospitals have begun to charge many people 40 times more than the normal rate for many procedures. For a procedure that would normally cost $400, some emergency rooms have charged over $16,000. After an accident, due to the excessive billing of emergency rooms, this may devour all of your insurance coverage, leaving you with little or no coverage at all for further treatment. We offer a solution! When you call us we can refer you to lawyers who can negotiate bills. In many instances, the hospital will lessen the charges to under $1,000. If the insurance company has already paid the hospital, we can refer lawyers to you who have gotten patients reimbursed for the hospital’s excessive billing practices. Due to this, patients are able to get the needed follow up care with chiropractors and medical doctors. If you have been to an emergency room and you do not know what your charges are yet, please visit one of our offices or call us immediately so we can audit your charges before the insurance company pays your claim. If you have not been to any doctor since your accident and are in pain please come in for an injury evaluation. Call our office to learn more!